The run is held in a small loop in the city centre and a large one around the city, with great cheers of the residents of Staszic’s town. 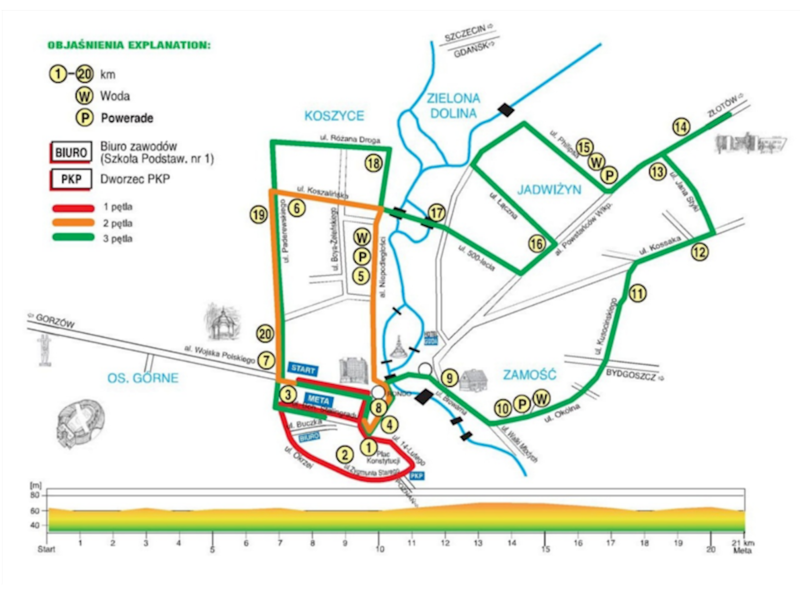 The route has the certificates of IAAF, AIMS and the Polish Association of Athletics.The marathon will start from Boh. Stalingradu street and finish at plac Zwyciestwa, Pila.